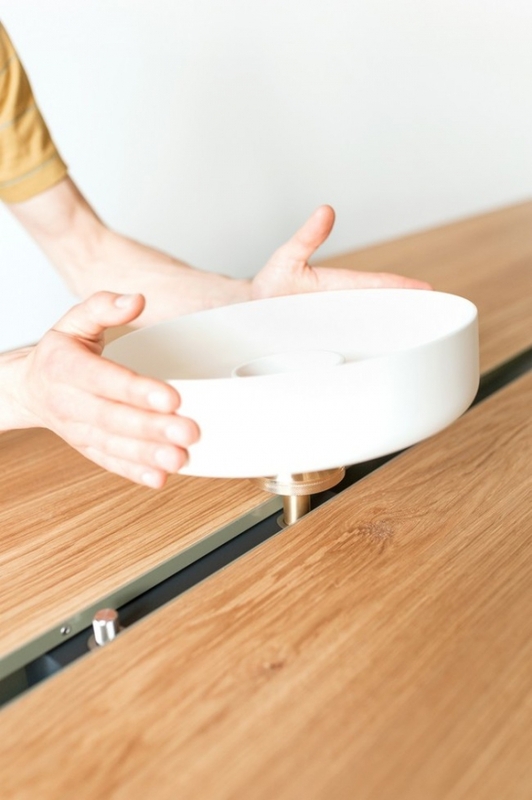 A single piece of furniture brings together an array of functions and activities, as it splits apart to accommodate them, in this smart idea for small spaces by Moritz Putzier. 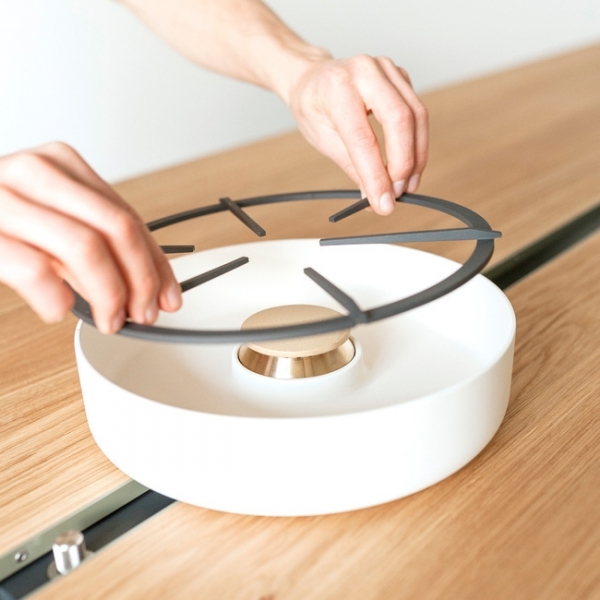 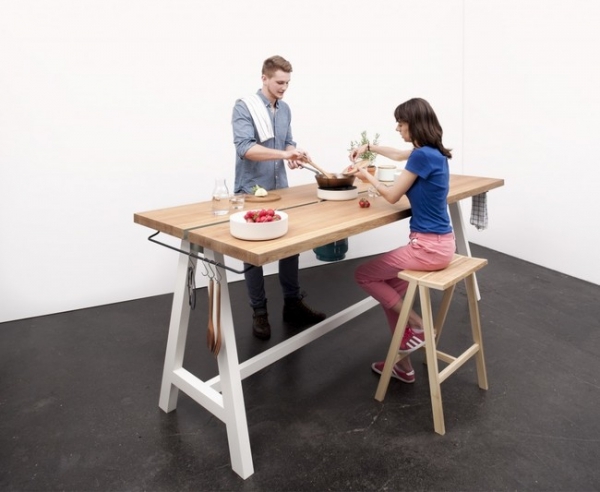 Part of the young German designer’s diploma thesis, the Cooking Table is a multipurpose and highly versatile unit that not only adapts to the pace and demands of modern life, but introduces new opportunities into it. 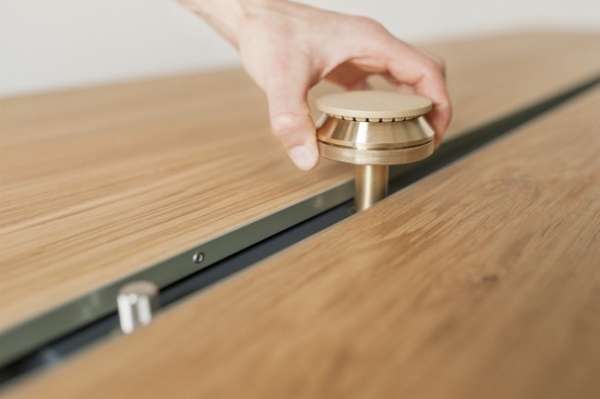 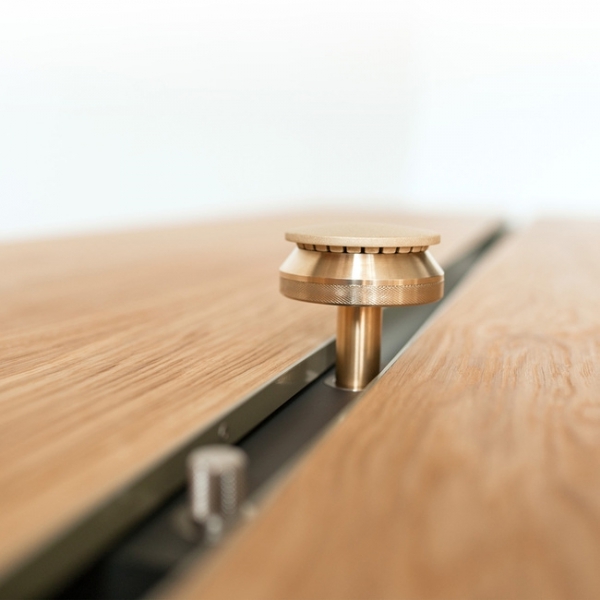 Created as a meeting point for friends and family, the table amalgamates the kitchen surface, dining area and social space into a singular consolidated, space saving option. 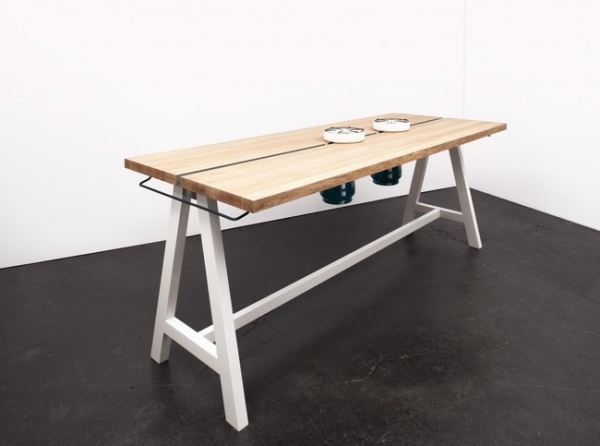 Built of oak wood, the Cooking Table is drawn out in clean, bold strokes that keep its details refined and simple, and its overall profile bold and impressive. 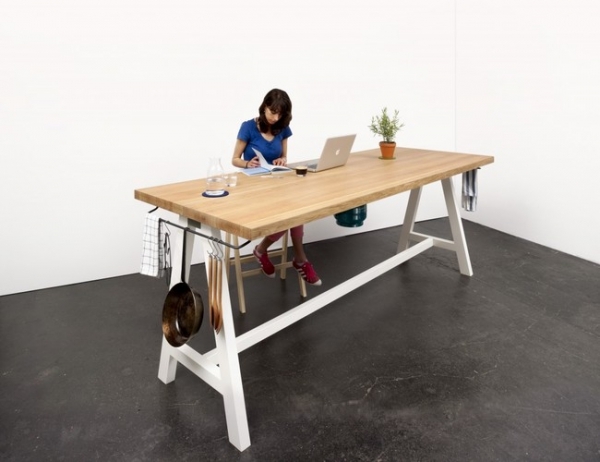 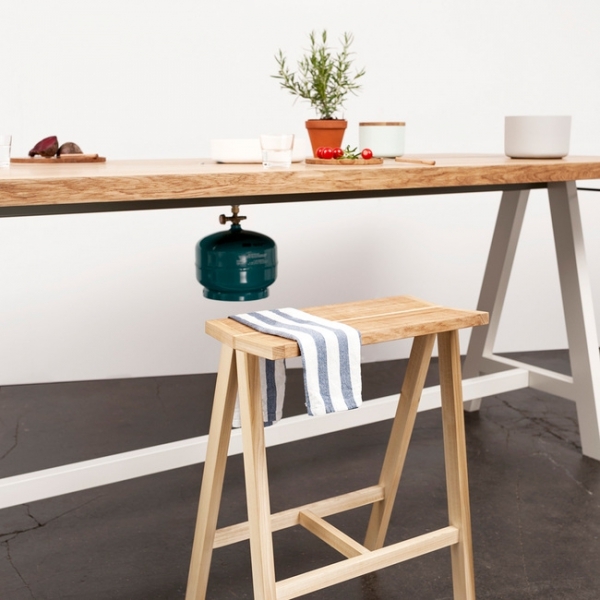 The table top is split across its length into two; the two parts separate to allow gas burners to be suspended from between it. 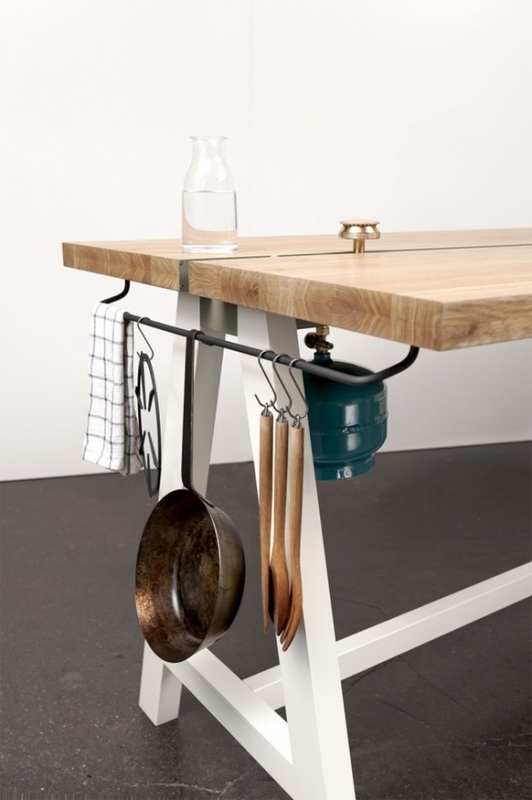 A series of burners can be suspended along this length, making the table perfect for quiet nights in as well as elaborate dinners! 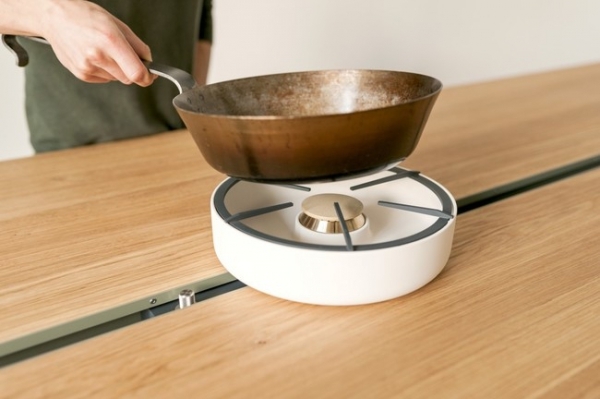 The burners are complemented by round ceramic table tops in pleasant white; the table tops act as thermal shields and create safe and visually pleasing interfaces between the table and burner. 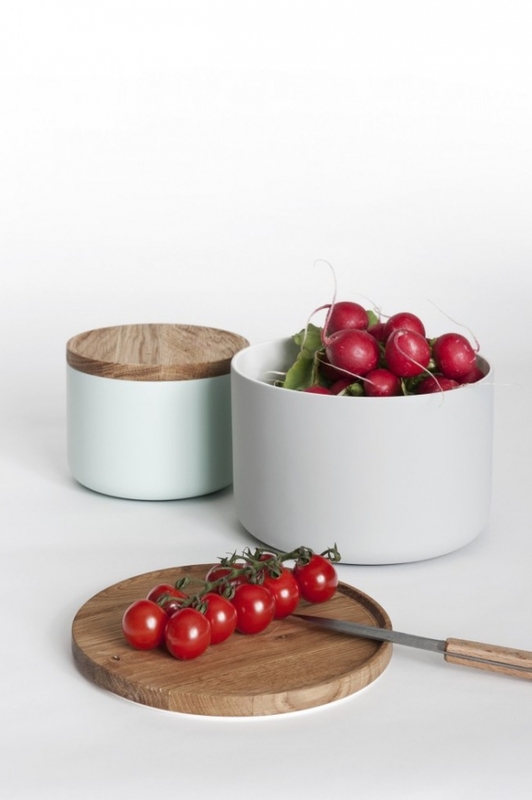 A further set of ceramic vessels with wooden tops are also provided with the table; the wooden tops double up as chopping boards and protect the table from wear and use in the long term. 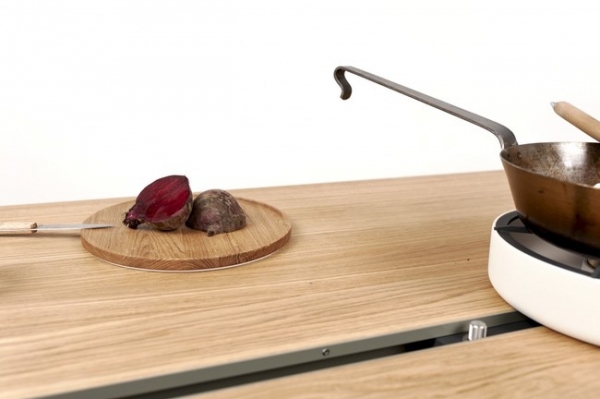 A set of hooks along the edge serve as handy hanging option for pots and pans.